A Street Fighter game without the dirty gi of Ryu or the psycho-eyes of M Bison may sound preposterous, but we all know who the real face of the franchise is. And by face, I mean stainless steel mask that keeps said visage in beautiful condition. I’m talking about the Spanish Ninja! Vega, baby! One of the coolest Street Fighter characters around is back in action. Boasting new moves, more speed and the frilliest of shirts, the deadly matador is looking to do some damage. Players will need to toggle between both styles to pull off that winning KO at the end of the fight. 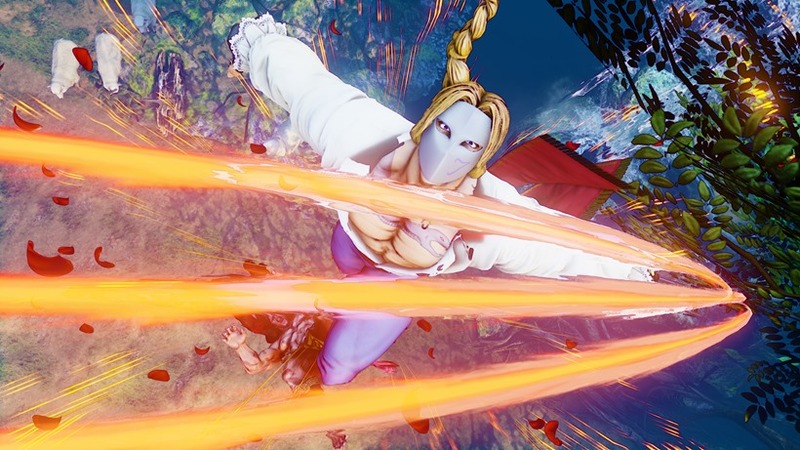 Vega’s powerful V-Trigger is the Bloody Kiss, which sees him throw a rose at high velocity towards his opponent, before he charges at full speed right behind it, delivering a series of brutal attacks. This Spanish matador is definitely a fighter to keep your eye on, if you can. Vega has always been a high-risk high reward kind of character in Street Fighter games. While that claw of his makes him look like a standard hack ‘n slasher, it’s that blistering speed in an arena that makes him so deadly in the older, which combined with his high offense, has always resulted in a deadly combination. Street Fighter V on the other hand, is throwing a monkey wrench into many an established style for regulars in the series. And I’m liking that approach. STREET FIGHTER V BRO!